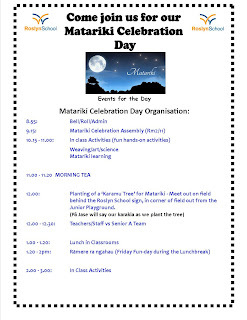 We are looking forward to as many whanau as possible to come along and join in on the fun at our Matariki Celebration day on Friday 30th June. Check out the flyer for what's happening, or check in with your child's teacher. 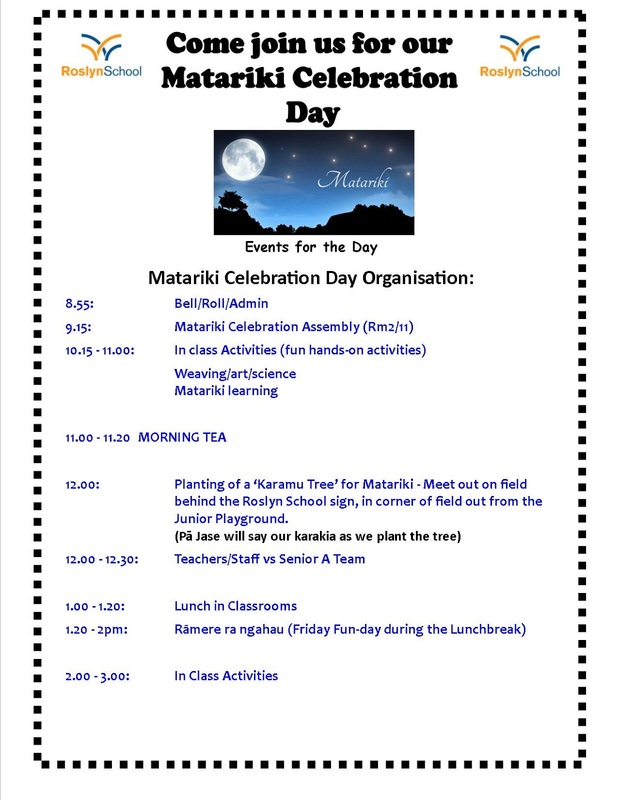 The day begins with a celebration Assembly showcasing all the wonderful learning that has been happening in our classrooms for Matariki. We will also plant our annual Matariki tree, this year we are planting a Karamu Tree out on the field which will be fabulous for future shade. Our youngest and eldest student will plant the tree as it is being blessed and the school sing a waiata.